In a medium bowl or jar, combine almond milk, oats, sweetener, vanilla extract, cinnamon, and salt. Mix well. 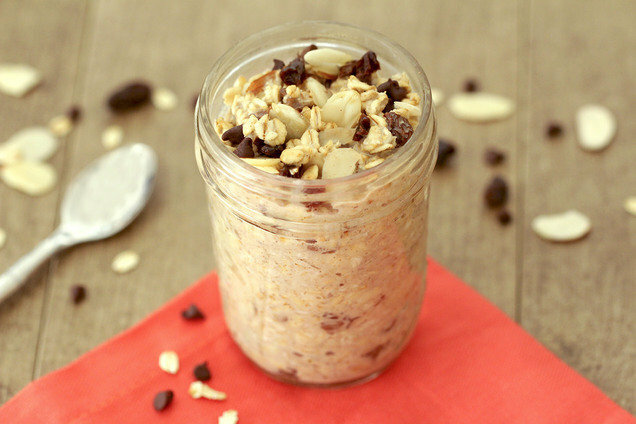 Hungry for More Overnight Oats? Today, August 17th, is National Vanilla Custard Day. Grab a cup of Yoplait Custard Yogurt in Vanilla ASAP! Tell your buddies it's okay to sleep in! Click "Send to a Friend" to share now.